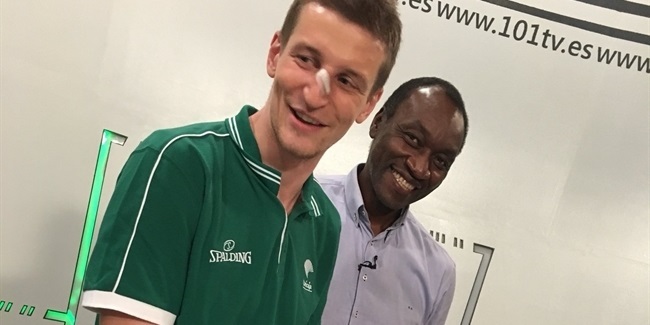 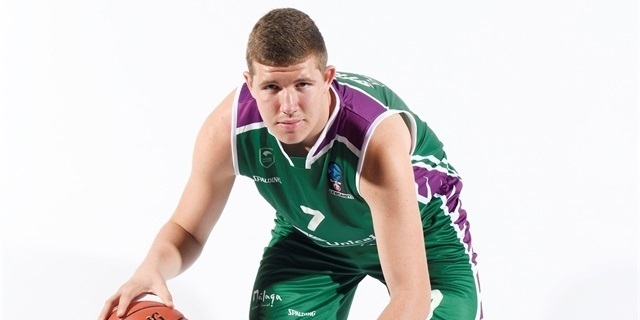 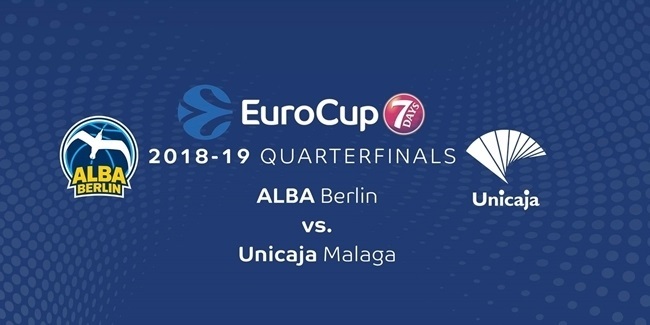 Adam Waczynski, Unicaja: "We are going to Berlin to fight"
Two of the top-scoring teams in the 7DAYS EuroCup will clash in what promises to be an exciting quarterfinals series when ALBA Berlin takes on Unicaja Malaga. 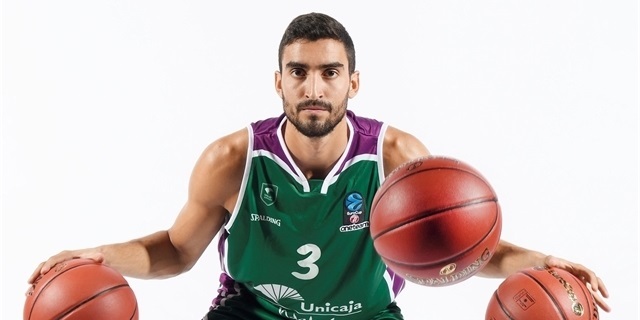 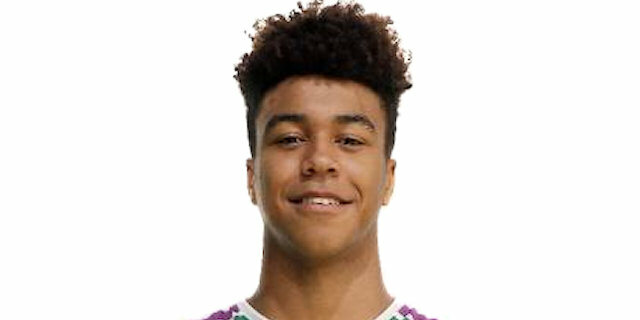 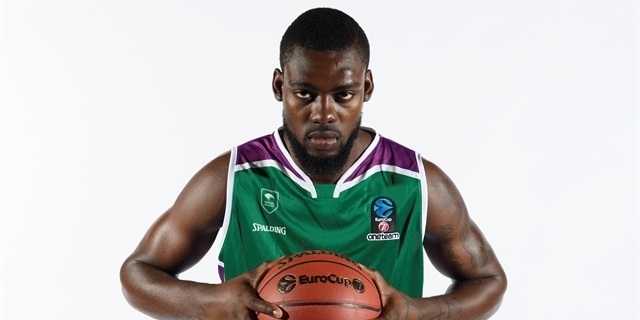 Unicaja Malaga's road to another 7DAYS EuroCup Finals got a lot tougher on Friday when point guard Jaime Fernandez was declared out of action for eight weeks with a leg injury. 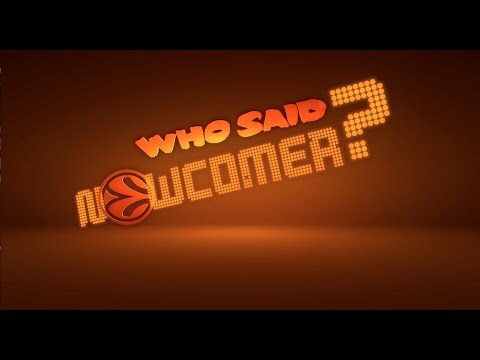 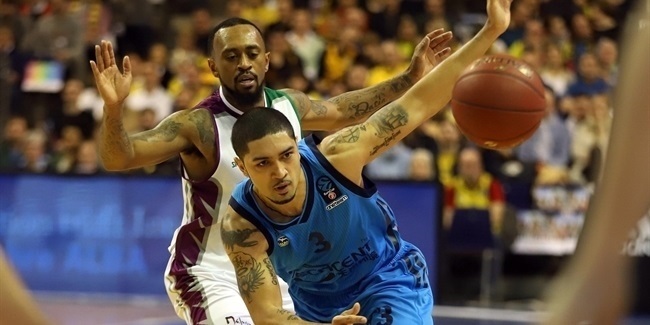 Next stop, 7DAYS EuroCup Quarterfinals on March 5! 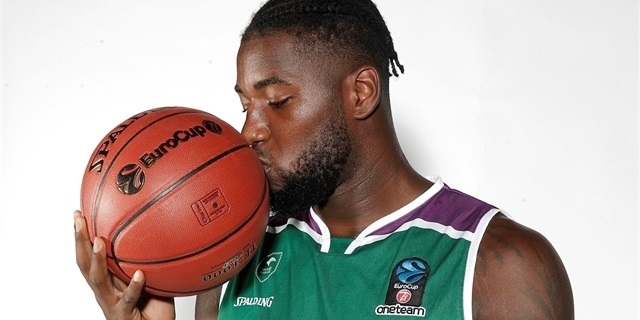 Unicaja Malaga fans had to rub their eyes when they saw the team's starting lineup of Mathias Lessort and Giorgi Shermadini together for the opening tip. 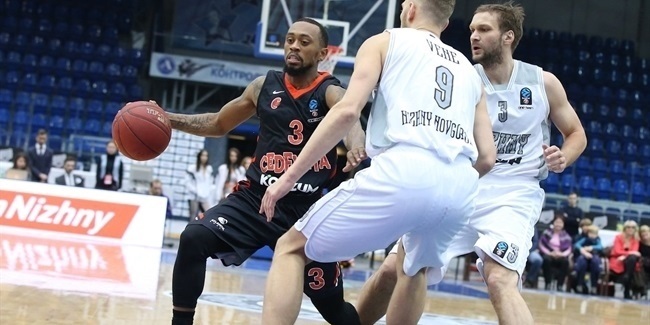 Unicaja Malaga announced on Tuesday afternoon the addition of point guard Ryan Boatright until the end of the current season. 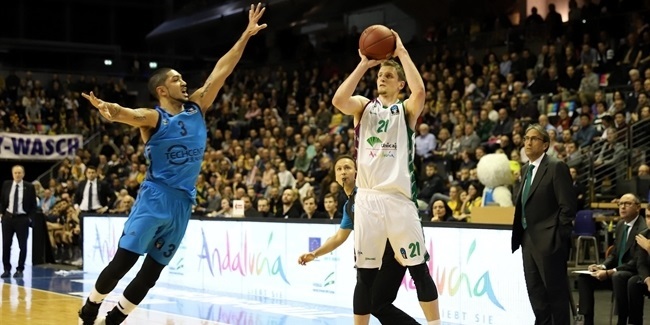 Unicaja Malaga returns to the 7DAYS EuroCup with confidence after taking the crown just two seasons ago. 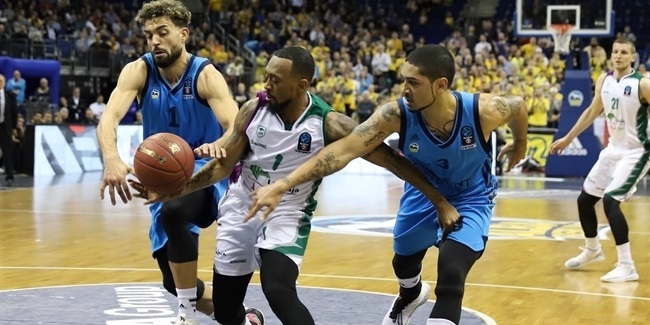 Unicaja Malaga rallied from a 21-point deficit to stun ALBA Berlin 90-91 in a thriller Tuesday at Max Schmeling Halle in the German capital. 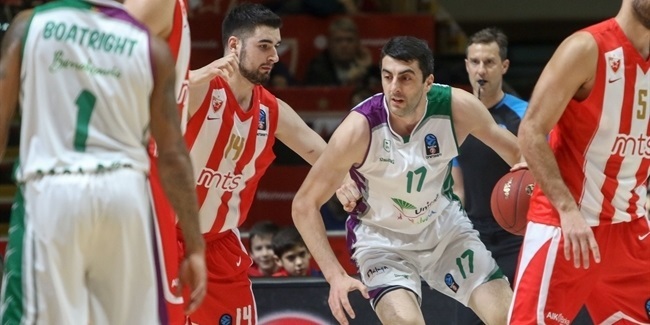 Crvena Zvezda mts Belgrade completed its 7DAYS EuroCup campaign with a 105-89 victory over 2017 champion Unicaja Malaga on Tuesday night at Aleksandar Nikolic Hall. 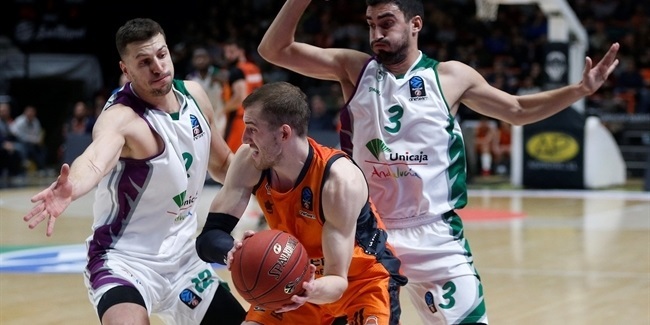 In a battle that went down to the final seconds, Valencia Basket clinched first place in Top 16 Group G by downing Unicaja Malaga 69-72 on the road on Wednesday. 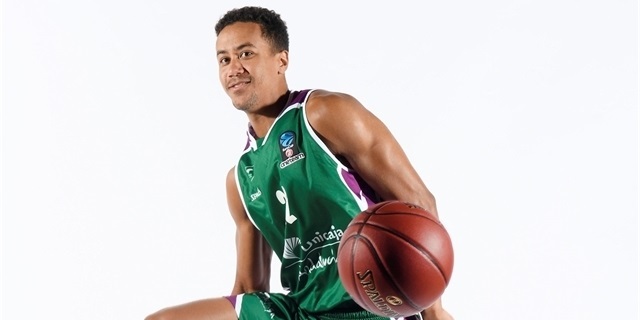 Unicaja Malaga took an important step towards qualifying for the 7DAYS EuroCup Quarterfinals by edging Limoges CSP 77-78 on the road on Wednesday. 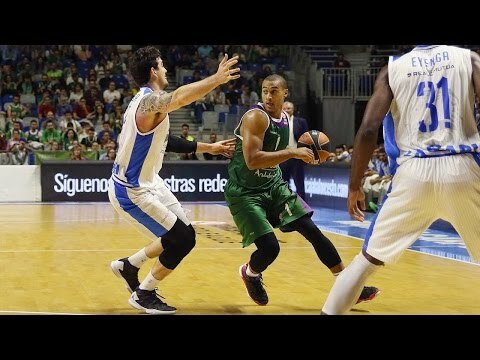 Unicaja Malaga secured an important home victory by fending off Limoges CSP 79-72 on Tuesday at Palacio De Deportes Jose Maria Martin Carpena. 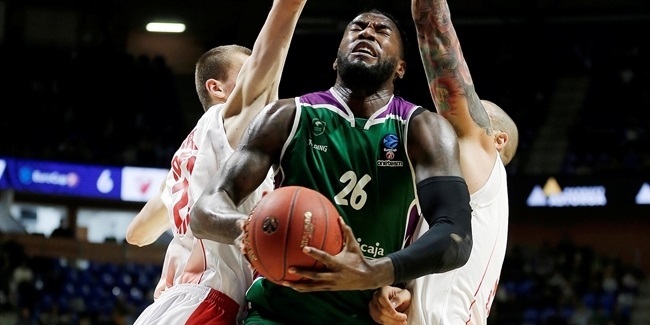 Unicaja Malaga picked up its first win of the Top 16 by holding on against Crvena Zvezda mts Belgrade 79-74. 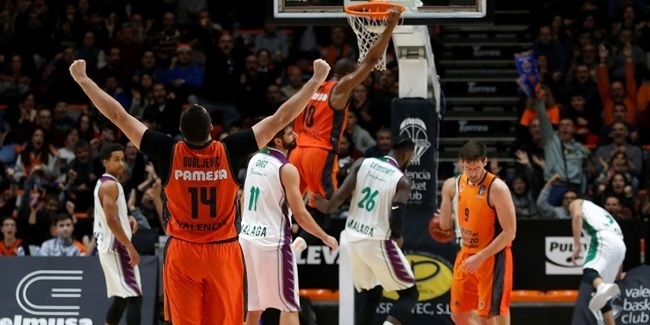 In a rematch of the 2017 7DAYS EuroCup Finals, Valencia Basket triumphed over Unicaja Malaga 85-74 at home on Wednesday. 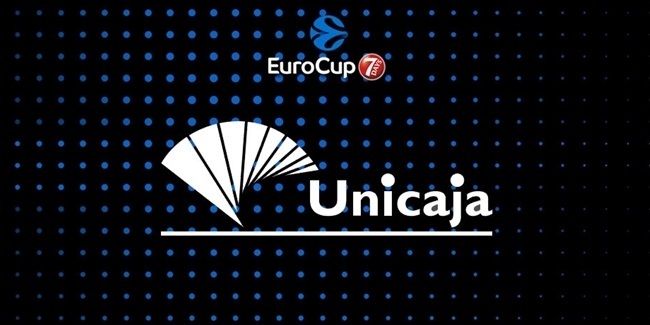 Unicaja Malaga returned to the Turkish Airlines EuroLeague in 2017-18 thanks to the 7DAYS EuroCup title it won in 2017. 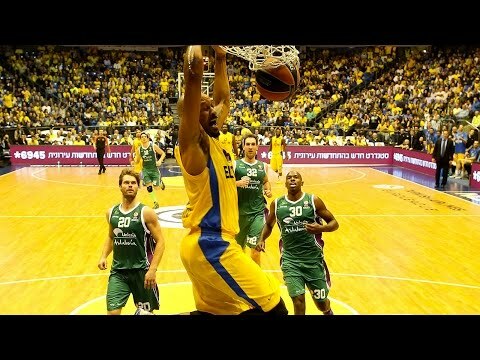 With a solid roster, its season could not have started better than with a win over the then defending champs, Fenerbahce Dogus Istanbul. 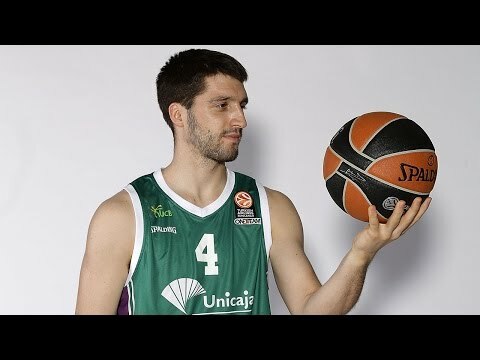 Unicaja soon started experiencing the tough EuroLeague calendar, but the squad managed to chain together four wins to finish the first leg of the regular season. 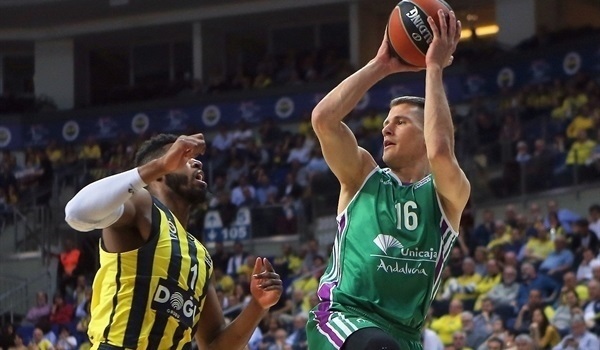 Nemanja Nedovic led the pack and was also the second-best scorer in the competition. 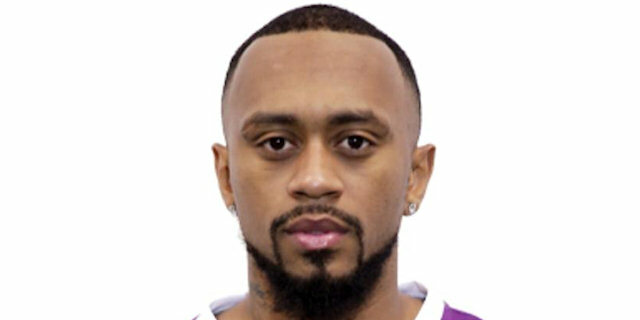 He had help from Adam Waczynski and Ray McCallum. 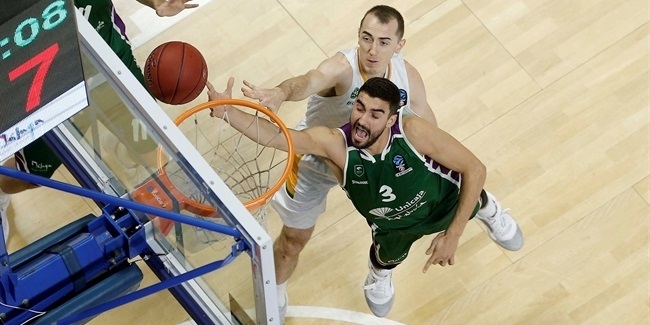 Unicaja kept its playoffs hopes alive until the last rounds. 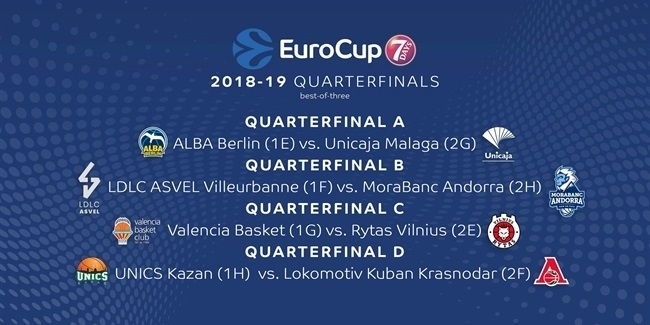 However, despite being out of the race soon after, the team from Malaga still managed to finish the season on a high note with back-to-back wins over Olympiacos Piraeus and, again, Fenerbahce. 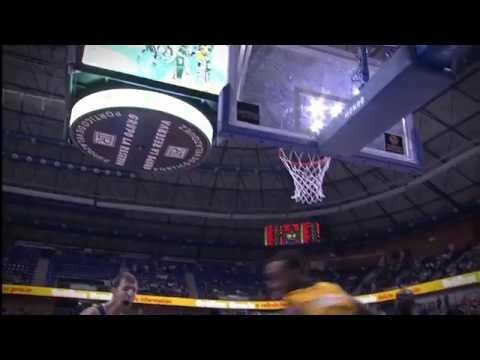 This led to a final 13-17 record that left the team just one place away from the playoffs. 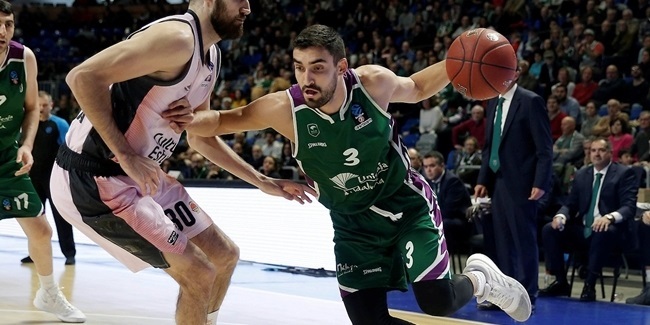 In domestic competition, Unicaja finished seventh, but fell to in the quarterfinals to eventual finalist KIROLBET Baskonia Vitoria Gasteiz in a sweep. 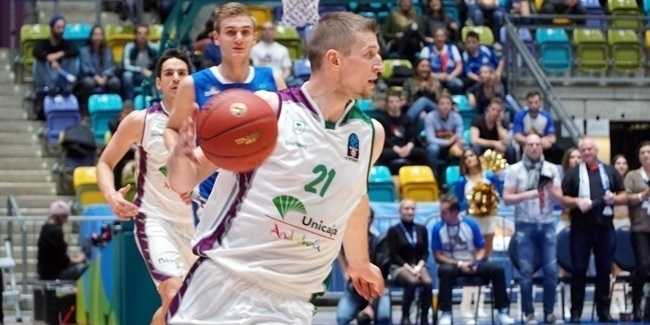 Now Unicaja returns to the EuroCup with confidence after taking the crown just two seasons ago. 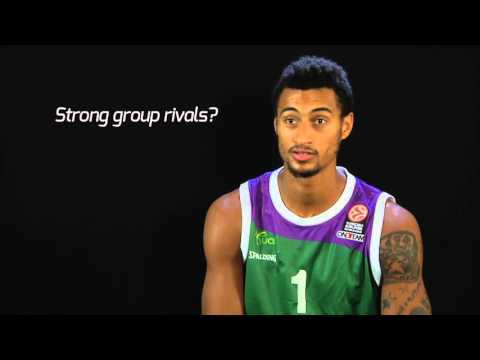 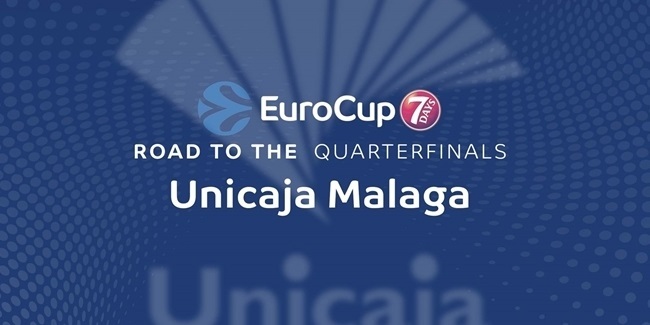 Unicaja Malaga returns to the 7DAYS EuroCup after a season in the Turkish Airlines EuroLeague. 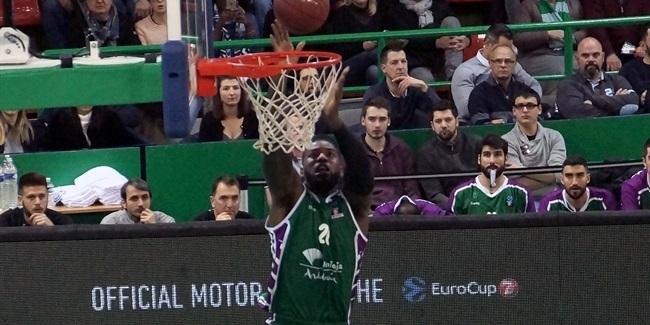 Founded in 1977 as Club Baloncesto Caja de Ronda, it wasn't until 1992 – when it merged with cross-town rival Maristas – that the club started to challenge for bigger goals. 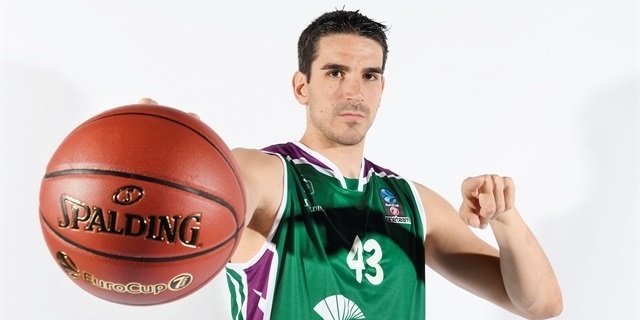 Everything clicked in 1995 when Unicaja came within a shot of winning its first Spanish League title. 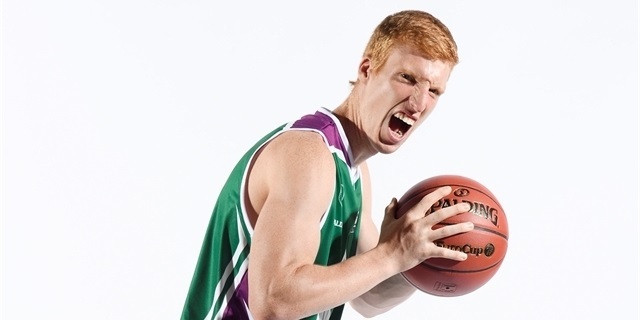 Mike Ansley missed that shot in Game 4 of the finals and the club would have to wait until 2001 before it could celebrate its first crown. 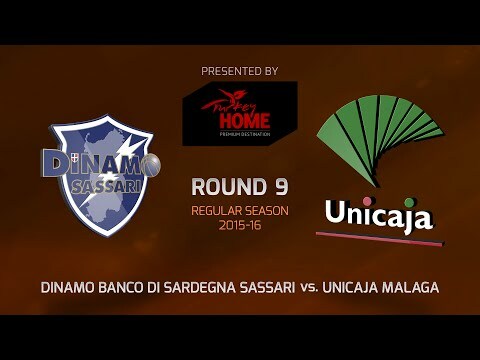 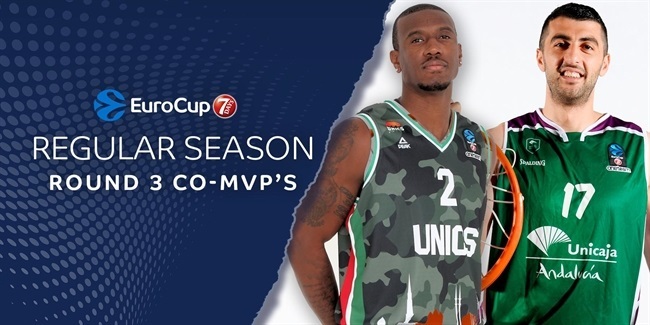 That time, led by Coach Bozidar Maljkovic and star scorer Veljko Mrsic, Unicaja was finally rewarded by winning the Korac Cup over Hemofarm Vrsac in a two-game final series. 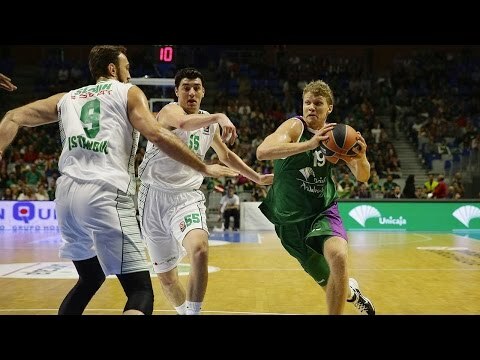 Unicaja followed that success by reaching the Spanish League finals in 2002 and the EuroLeague Top 16 for the first time in 2003, which proved to be the cornerstone of a bright future. 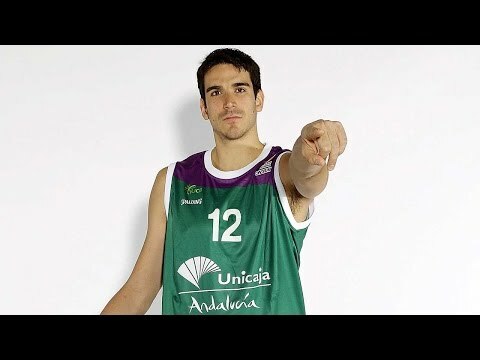 In 2005, Unicaja lifted the Spanish Copa del Rey trophy for its first domestic title behind star forward Jorge Garbajosa. 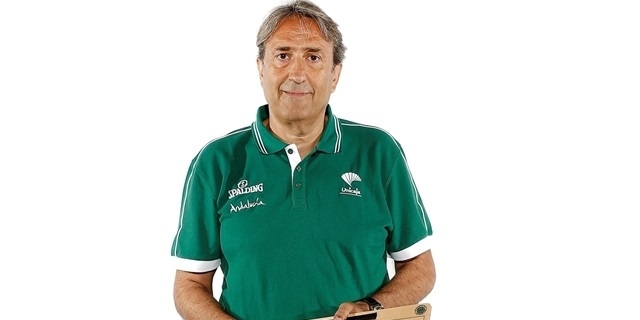 Things got even better the next season: Unicaja won the Spanish League championship with Garbajosa and home-grown talents Berni Rodriguez and Carlos Cabezas among those leading the way for Coach Sergio Scariolo. 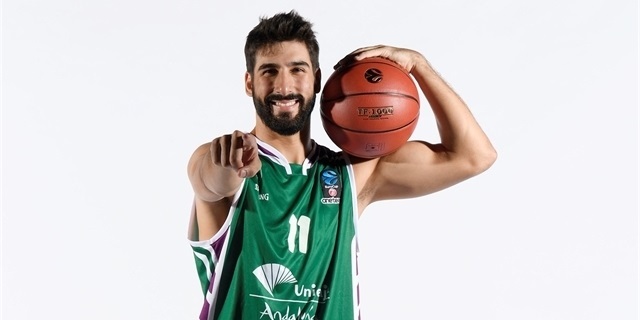 Unicaja marked its greatest continental success to date by reaching the 2007 EuroLeague Final Four in Athens, led by Daniel Santiago, Carlos Jimenez, Cabezas and Rodriguez. 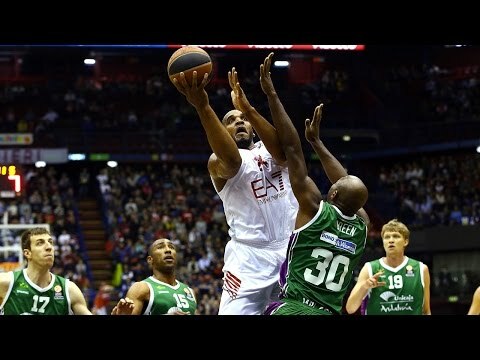 Even though CSKA stopped Unicaja in the semifinal, the club had confirmed its status among the European elite. 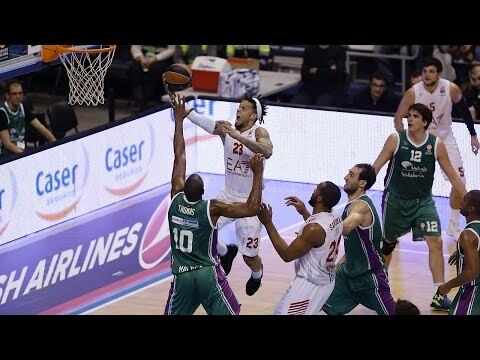 Unicaja advanced to the Copa del Rey title game in 2009 before losing in overtime against Tau Ceramica Vitoria. 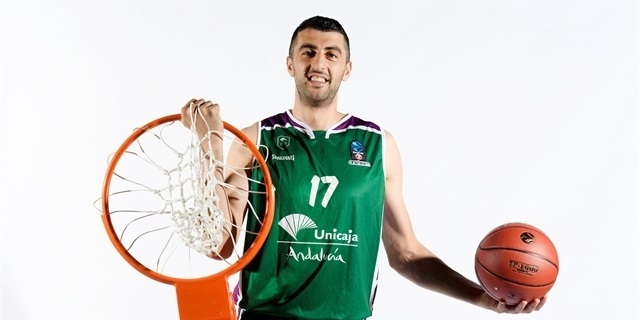 Despite the lack of trophies, Unicaja has been consistent, especially with its long Top 16 run in the EuroLeague. 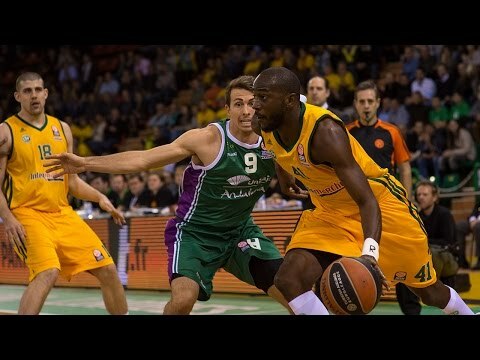 Unicaja made it to the EuroLeague Top 16 in 11 consecutive seasons, an achievement that only FC Barcelona and Panathinaikos Athens matched. 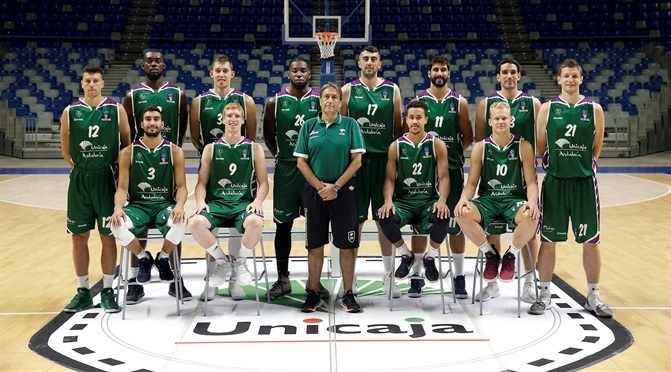 Coach Joan Plaza and players like Jayson Granger, Carlos Suarez and Fran Vazquez kept Unicaja competitive as the team reached the Spanish League semifinals in 2014 and 2015. 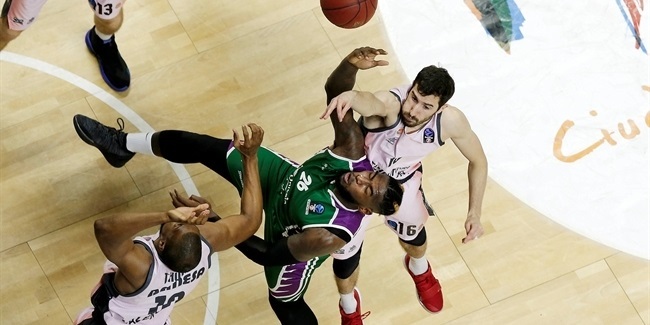 Last season, Unicaja made its EuroCup debut a spectacular one, overcoming the lack of home-court advantage in three playoff series to claim the title. 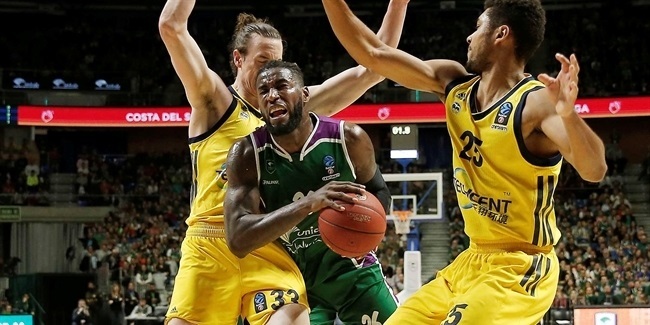 In its return to the EuroLeague, Unicaja had a bunch of prestige wins, including two against defending champ Fenerbahce, but fell one place short of the playoffs. Now, the team from Malaga returns to the competition it won two seasons ago with the same goal.